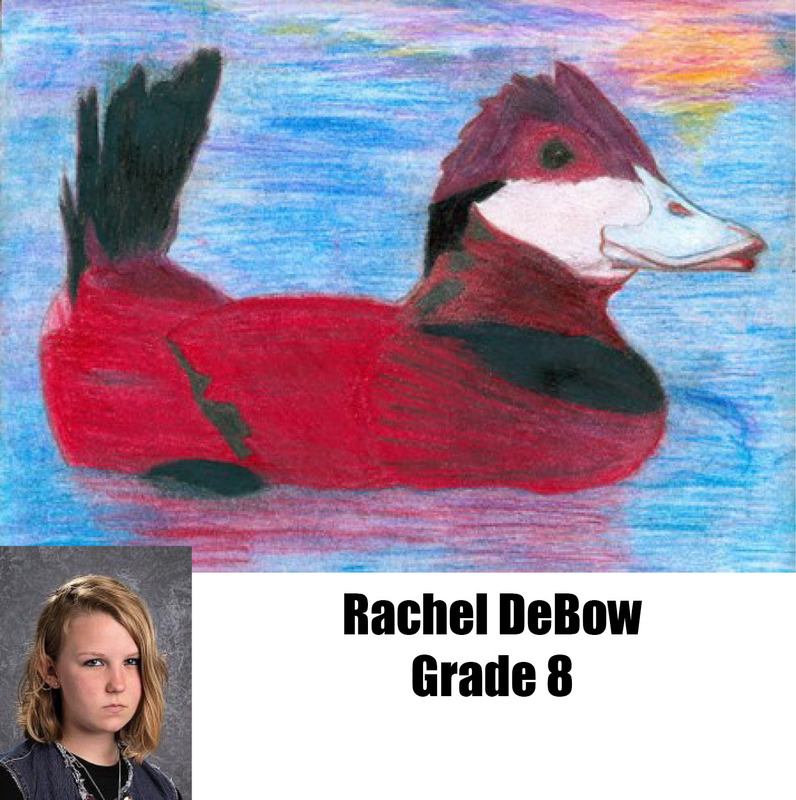 DELAVAN — Phoenix Middle School students were once again well represented in the Wisconsin Federal Junior Duck Stamp artwork contest. 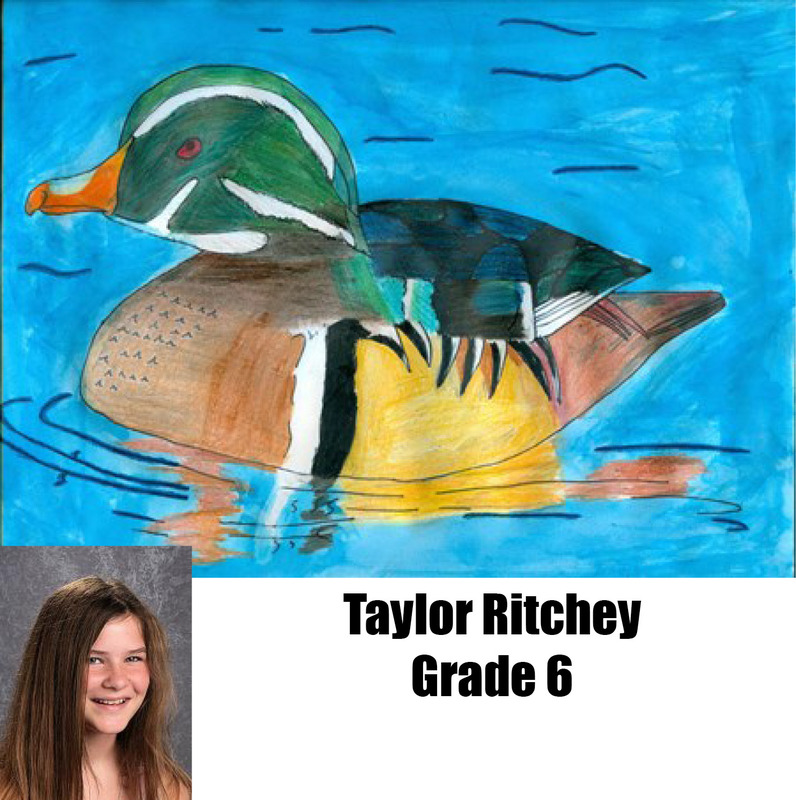 Taylor Ritchey, sixth grade, honorable mention. Statewide, there were nearly 400 entries submitted from students in kindergarten through grade 12 from schools throughout Wisconsin. 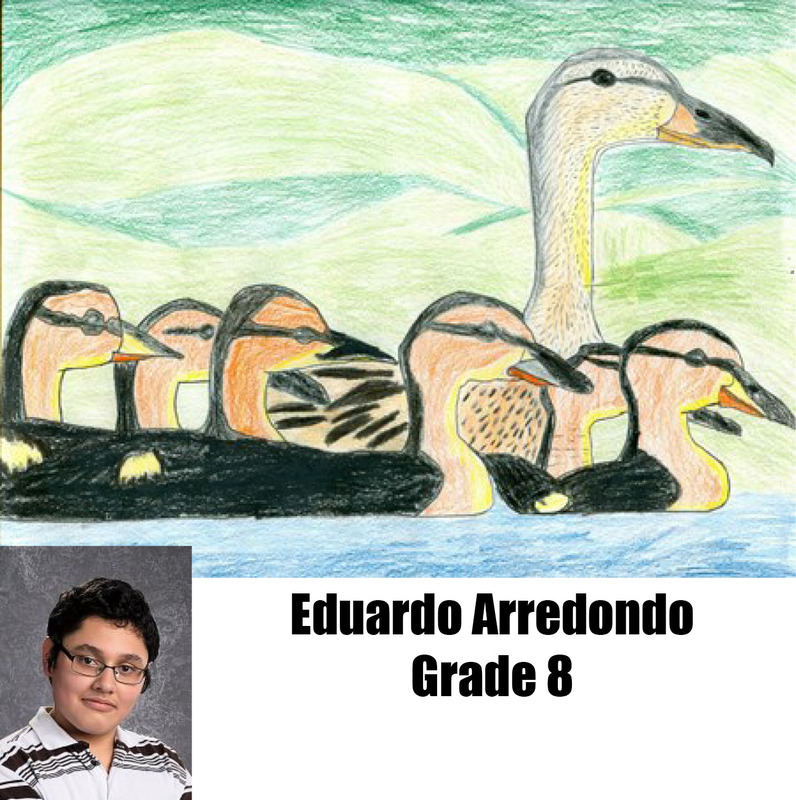 All 10 of the Phoenix Middle School winners are taught by Phoenix art teacher Hugh Petersen. 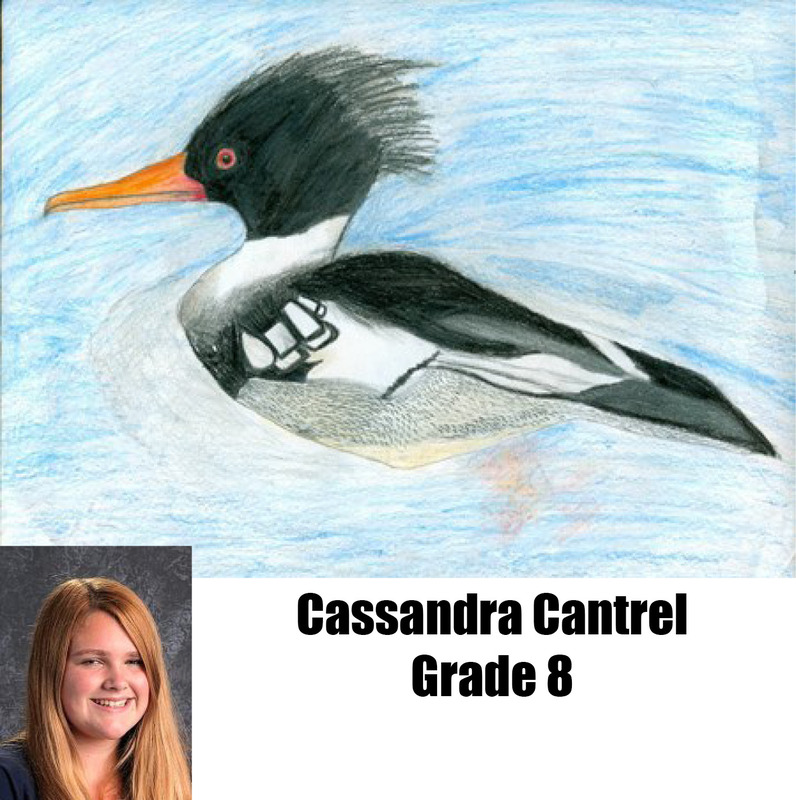 Students will have their artwork posted on the Federal Junior Duck Stamp website gallery, and on the organization’s social media pages. The top 36 winning entries will be showcased in two traveling displays across the state from May 2014 through March 2015. The local award-winners will also be invited to an awards banquet later this year and receive ribbon awards and prizes for their work. 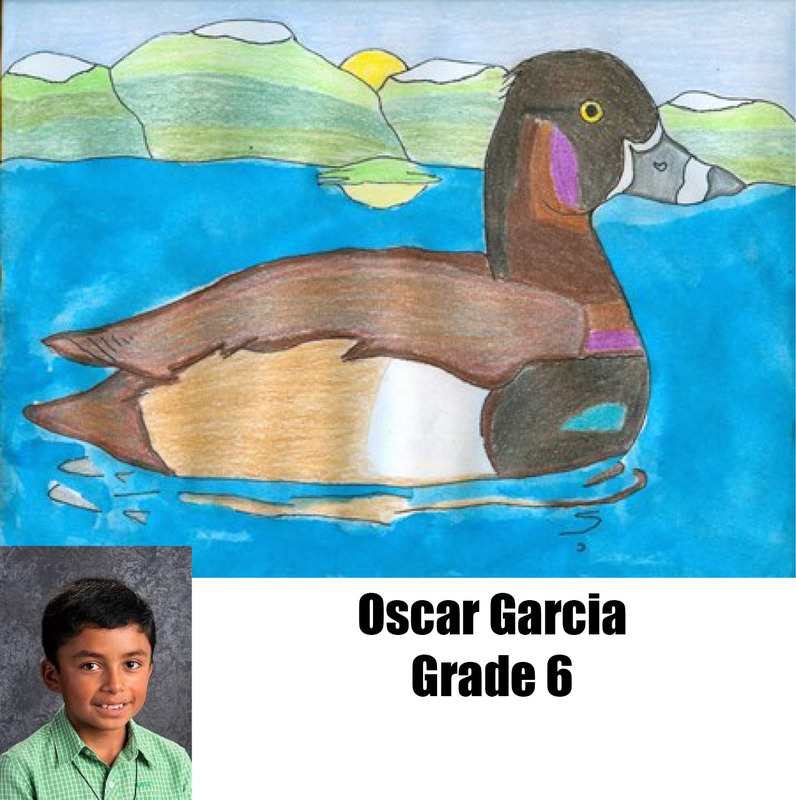 This annual contest was created more than two decades ago to raise awareness and appreciation for wetlands and waterfowl conservation for students in grades K-12. 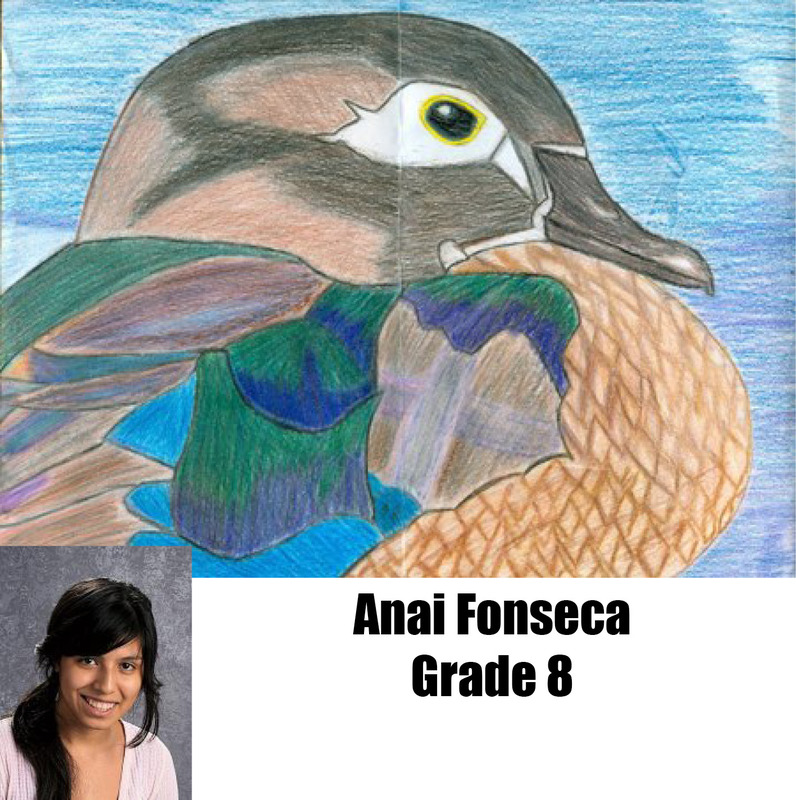 It is modeled after the Federal Duck Stamp Contest for adult artists. 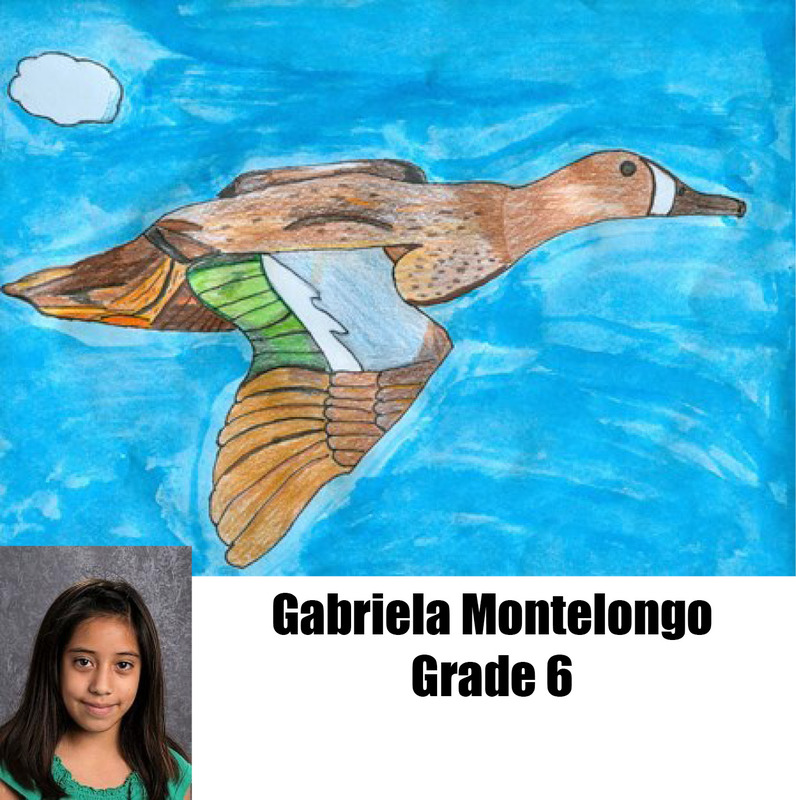 Students create original artwork showing North American ducks, geese, or swans in their natural habitats. First, second, third, and honorable mention awards are given out in four age categories. The U.S. 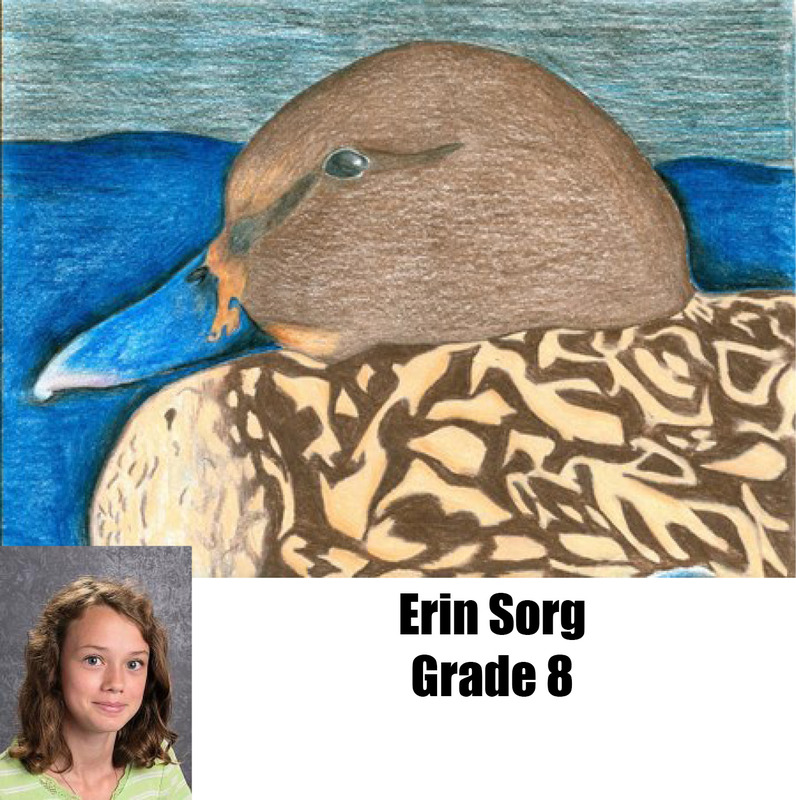 Fish and Wildlife Service selects a “best of show” piece, which is then produced as a pictorial $5 stamp to recognize the conservation efforts of young people and to support environmental and conservation education programs in the U.S. 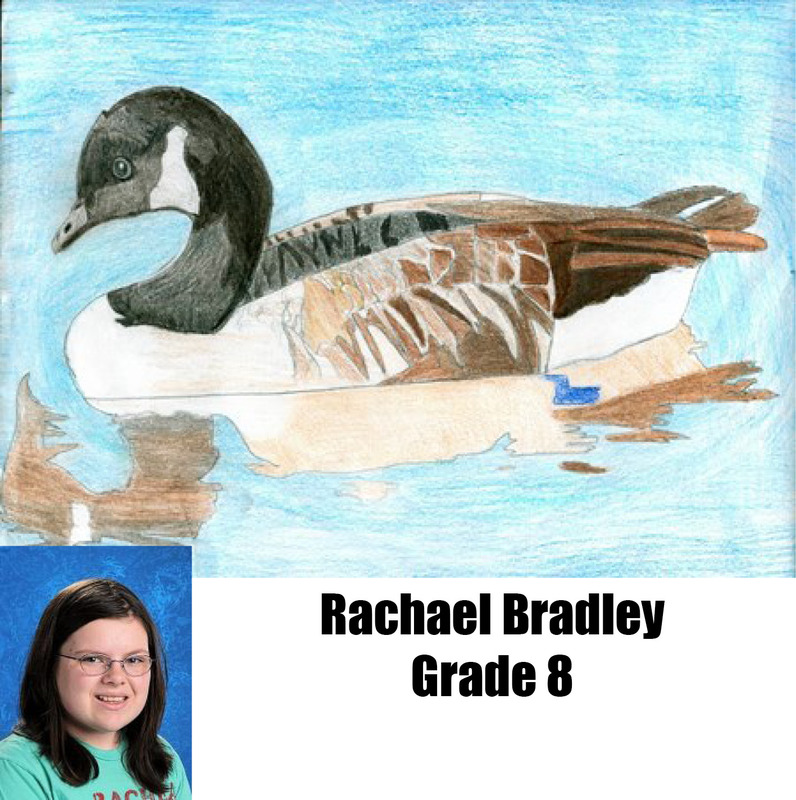 The Wisconsin Federal Junior Duck Stamp contest is sponsored by the U.S. Fish and Wildlife Service, the Necedah National Wildlife Refuge; Friends of Necedah National Wildlife Refuge; Friends of Horicon National Wildlife Refuge; and the Wisconsin Waterfowl Association. 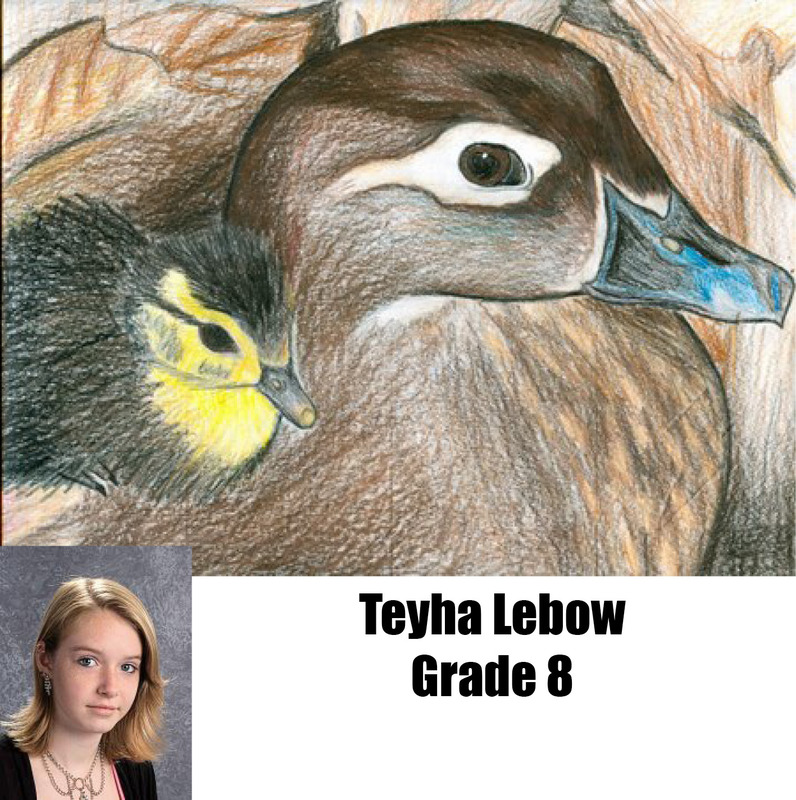 This entry was posted in Delavan-Darien School District, News Releases, Phoenix Middle School, Photo Galleries. Bookmark the permalink.